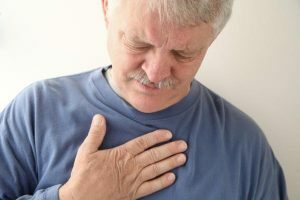 Heartburn And The Weight Connection | Susan Jamieson, M.D. Heartburn, that uncomfortable burning sensation in your chest after eating, may be a result of weight gain. It’s also scary – any chest pain should be, and if you haven’t talked to your doctor about it, you will want to make that a priority. In Hong Kong, call our clinic at (+852) 2523 8044 to set up an appointment to confirm the diagnosis. Once you’re sure the issue is heartburn, losing even just a few pounds can cause rapid relief. Heartburn occurs when acids in the stomach flow up into the esophagus. This results from weakening of the lower esophageal sphincter, a ring of muscle on the top of the stomach that is supposed to permit food to pass down into the stomach, but keep the contents of the stomach from flowing back up. Essentially it is a one-way valve. At least it should be. If this ring of muscle relaxes too much or simply can’t work properly, we experience heartburn. This isn’t merely an uncomfortable inconvenience. 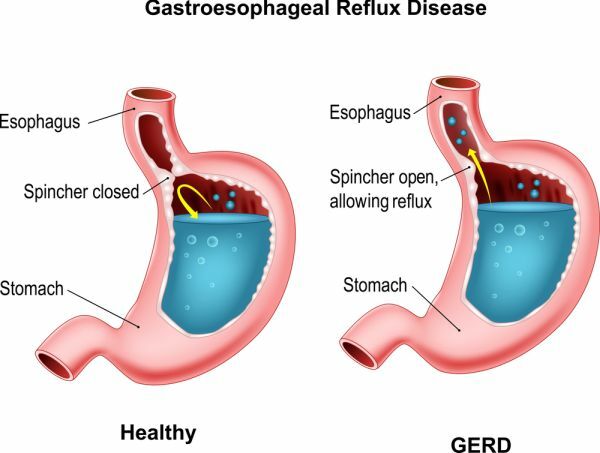 Left untreated, it can lead to acid reflux disease and even a condition called GERD (Gastroesophageal reflux disease), acid reflux’s more serious big brother. If the esophagus is subjected to stomach acids for a long period of time, this can lead to ulcers in the esophagus, or even esophageal cancer. When fat accumulates in the body, it packs around and puts pressure on one’s internal organs. This is known as visceral fat, and it stresses the stomach and esophagus as well as other organs. This pressure can cause the bottom of the esophagus to crimp, preventing the valve from closing, which in turn permits stomach acids climbing into the esophagus. Antacids and other medications only treat heartburn’s symptoms, and they have side effects too. Any extra weight above your ideal increases your risk of heartburn. The simplest solution to heartburn for many, and the one that is most likely to remove the problem rather than treat its symptoms, is to drop a few pounds. Research has shown that increasing your BMI, or body mass index, by three points increases your likelihood of heartburn by three times. This is good health advice regardless of whether you suffer from heartburn. But nicotine exacerbates this condition – smokers are therefore more likely to experience acid reflux. Avoid eating in the evening. Food increases the pressure in the stomach, making heartburn more likely. When you’re upright, gravity helps keep stomach acids in their place. But when you sleep, gravity stops being your friend. For some people, heartburn results from the stomach not having enough acid to promptly digest food and move it on the intestine. When it hangs around longer than it should, acid reflux can be a result. Your integrative doctor or naturopath should be able to help you discover if low stomach acid is your issue, and suggest supplements to take with meals (especially high-protein meals) that will help your digestion. This could be a great time to try a gluten-free diet for a few weeks. People who choose not to eat gluten and reduce consumption of processed foods usually get relief from heartburn, and often lose weight too. Those outcomes would be win/win for helping your heartburn pain! High-fat foods contribute to heartburn. So forgo those greasy hamburgers. Also, avoid large meals. Larger amounts of food in the stomach cause it to stretch, which puts the esophageal valve under stress. So plan on five or six small meals, and never eat to the point where you feel your stomach is stuffed. As mentioned earlier, losing even a few pounds can be the most effective way of dealing with heartburn and generally improving your health. Get on a gentle exercise program. Consult a nutritionist or dietician and arrange a diet that takes the pounds off. Heartburn may seem like a periodic annoyance or painful inconvenience. But if left untreated it can lead to serious medical issues.